At La Vita Bella Events we enjoy making inspiration boards for clients who need help visualize their wedding theme, color, and decor all coming together. 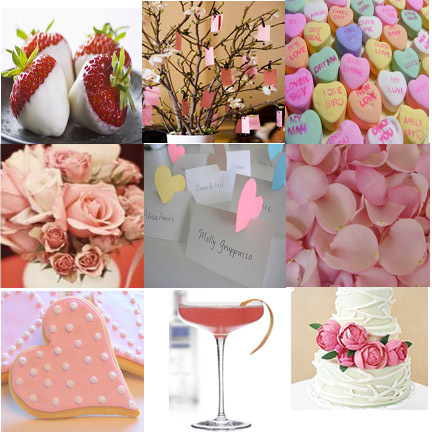 We thought you might enjoy a couple of inspiration boards for Valentines Day. 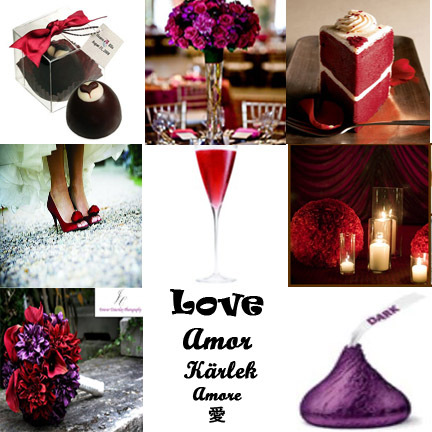 What better time than February to have a romantic deep red and purple wedding or a whimsical pink heart inspired wedding.